Thank you guys for your feedback, have spent several hours already on Google images searching for 20s 30s 40s engines and bikes I have seen many similarities but nothing exact yet, no match, but I haven't given up just yet. 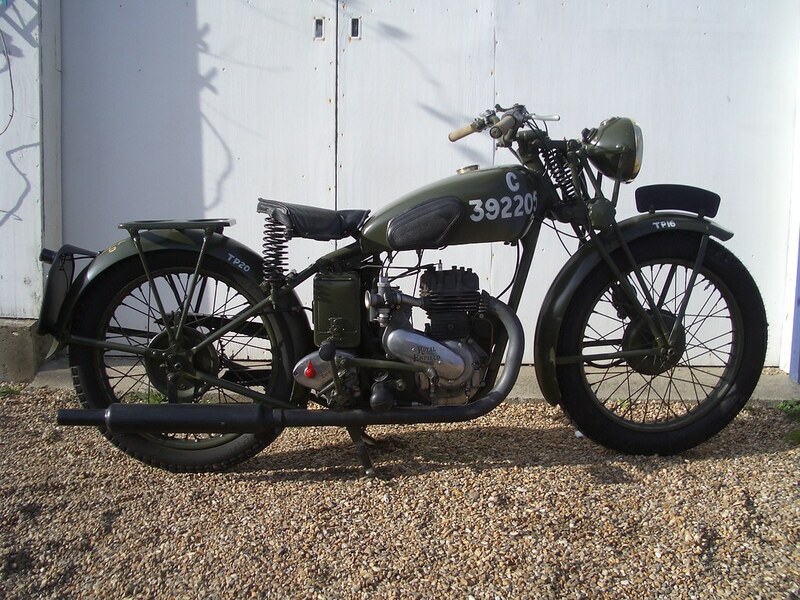 The engine below is from a Norton 1936 International M40 350 cc ohc, it's not an exact match but close. Ok, I rectify, closest looking thing, chassis fixture and engine shape, I'm not in any way saying that my original post is a Norton, it's only most resembling shape I could find. the only thing those engines have in common is they are made of iron and aluminium. About as far apart as you could get. You'll be hard put to idenitfy from google images. Put some more of your own on. of the other side and the bits in the box. Oh dear, please forgive, I did say I was new and that the only "shape" of engine / crank I found was that, referring and meaning I was in a dead end, sorry for the offence. No offence taken. However, you have been asked for photos of the other side of the engine which would be far more use than the side you've shown. It was the comparison with a Norton Inter that caused my amusement. Where on earth did you see it advertised with rats**t photos like that? This thread is going no where. As in all these cases can we just have the engine and frame numbers? That would resolve the matter very quickly. The gearbox number would also be useful. Given the issue date of the rego, I assume we're at the other end of the 1930s, so something like a 1939 Model D (250). As 33d6 says, engine and frame numbers would enable a proper id. Or a military version thereof. Although that may not tie in with the numberplate detail.